Until recently your bank would be your first port of call if you needed to store expensive jewellery or important legal documents. 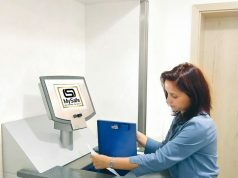 You’d pay a small annual fee to open a safety deposit box and access it during branch opening hours. But the spiralling cost of running high-security vaults has led many banking giants such as Barclays, HSBC, Lloyds and RBS to stop offering this service. Some still cater for existing customers but others have phased out the service, forcing people to move prized possessions. World-famous department store Selfridges has offered safety deposit boxes since 1909. Prices range from £180 to £600 a year and you can access your valuables Monday to Saturday between 9.30 am and 6 pm. Each box is operated by two keys and can only be accessed when accompanied by a custodian. Harrods customers have been able to store their valuables in its strong room for 121 years. It has two sizes available: a small box measuring 4.25 in by 4.75 in by 17.5 in for £450 a year, and one measuring 4.75 in by 6.75 in by 17.5 in for £750 a year. 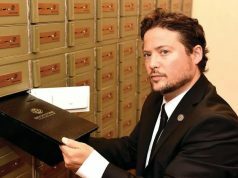 Previous articleBank Safe Deposit Boxes Or Private Vault Safe Deposit Boxes …You chose.